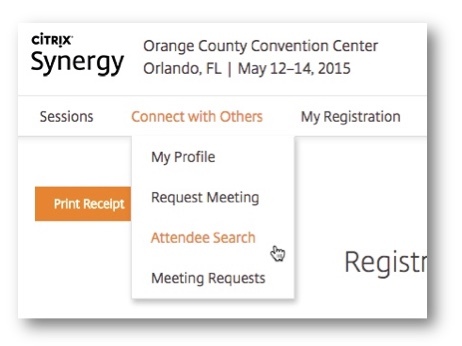 This year I have the chance to join the Citrix Synergy in Orlando, FL, USA, THE Citrix conference. There is already a very good guide for the preparation of this conference from Neil Spellings, see the The ultimate Citrix Synergy survival guide – 2015 , that covers a lot of needed information. But I add in this post some information for a first timer comes from overseas (Switzerland, Europe) like me. I will arrive early, even Synergy starts on the 13th, I take already the plane on the 9th of May. That gives me some days to get in the correct day/night rhythm. I stay waked up after arrival until my normal sleeping time, even if I’m very tired! If I wake up in the middle of the first night because it’s morning in Europe (and in my day/night rhythm), I’ll take a soft Sleep Aid called MidNite, available in a lot of US Stores (e.g. CVS). I get up after sunrise an go outside to the Sun to let my inner day/night rhythm know thats now day. Stay online without expensive mobile roaming costs! Instead of the Net10 card what is mentioned in the blog of Neil spellings I will buy a AT&T GoPhone Prepaid Card with e.g. 2GB for 25$ and I put it in my Huawei E5372. If you intend to use an other device or provider be aware of the used frequencies. This combination gives you a Mobile Hotspot which works in thr US with AT&T and Europe on 2G/3G and 4G mobile network. 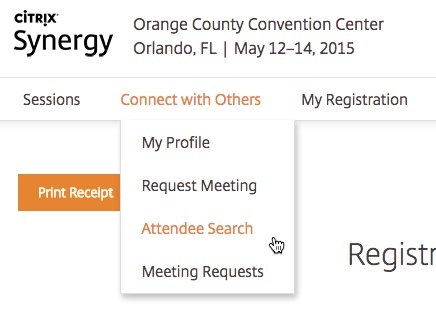 You can plan the Sessions you want to attend on the Synergy Session Catalog Website . If you are already registered for Synergy you can login with your Synergy account subscribe to the sessions you like to attend (first come first served, no possibility to reserve the seats with exception of the 99$ Pre-event Training Workshop). and afterwards you can download a PDF with all your sessions or you can download the Calendar-Files. Try to meet people you known today just virtual from twitter or from a blog to get a face behind of a URL or a Username. It’s my email address with MyPeer at the end. That gives me the chance to win Converse sneakers . Check your Mailbox, and the Spam-Folder about an invitation from Dirk Pfefferle, to a “evening together with Citrix Central & Eastern Europe Team”. I just found in my Spam folder an invitation for this snacks, beer and networking event.